1. Payment is expected when services are rendered. We accept cash, credit cards or checks. If this is not possible, please address this with our office staff and they will gladly assist you with your different options. Lakeshore offers the financing options of Scratchpay or CareCredit. Either of these options will allow you to treat your loved one in a timely fashion to help optimize a full recovery. Please be sure to bring your drivers license and a secondary ID if this option is necessary for you, and we will help determine what fits best for your situation. 3. When unexpected illness strikes a pet, unexpected expense strikes as well. 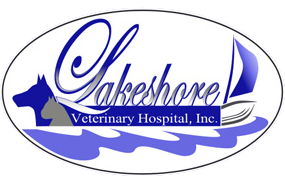 Lakeshore Veterinary Hospital, Inc. understands this and can help you get the help you need for your pet through Scratchpay or CareCredit.